#1: People walking here and there. 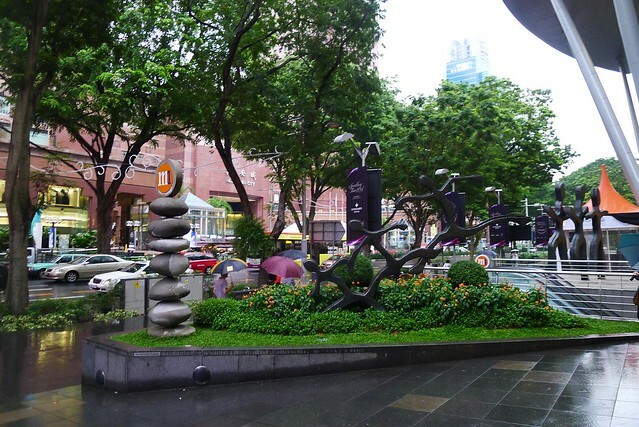 Singapore Trip: Walk At Orchard Road – How can going to Singapore and not going to the famous shopping street, Orchard Road? Haha. Actually you can because it’s just shopping malls and I have been there for many times. On my week long trip to Singapore, brother and I were bored, no where to go and randomly went to Orchard Road. 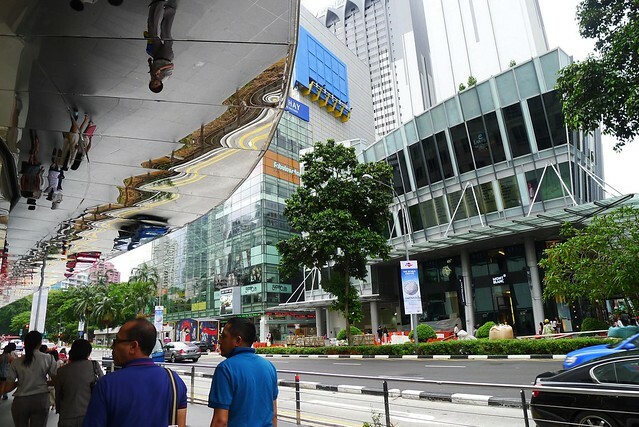 Of course Orchard Road is nice, with many shopping malls, mid-end to high-end, no low-end, very organized, spacious pedestrian walkway, air-conditioned underpass, very straight and linear. 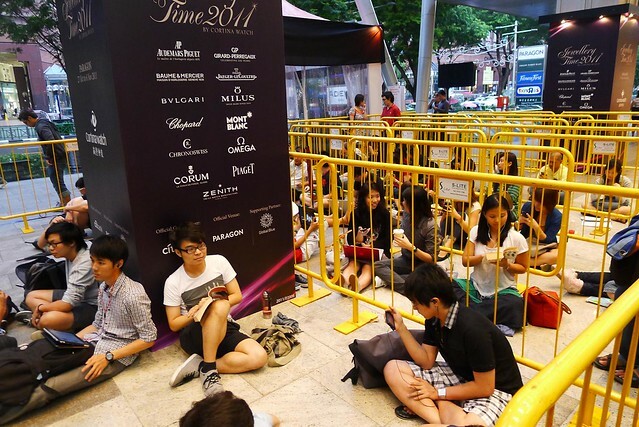 #2: People queing up for iPhone 4S since 12pm. 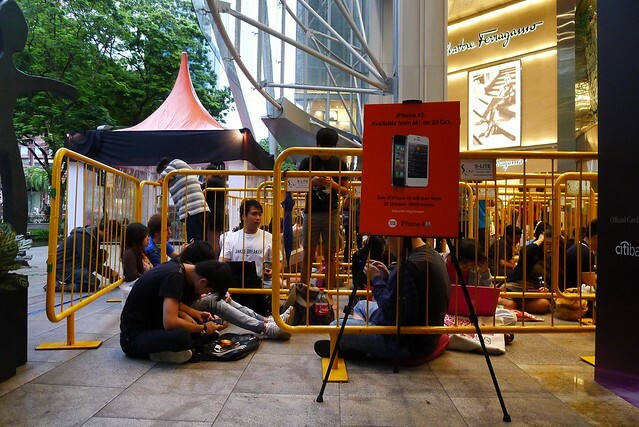 #3: More people in the iPhone 4S queue in front of Paragon. 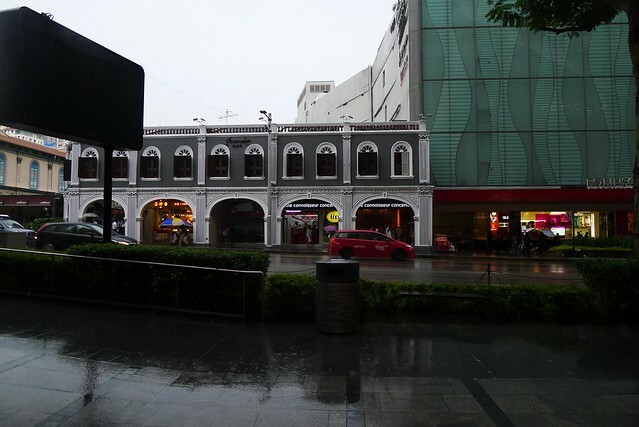 Many people like to go to Orchard Road, but then it’s just like other typical shopping district in big city to me, e.g. 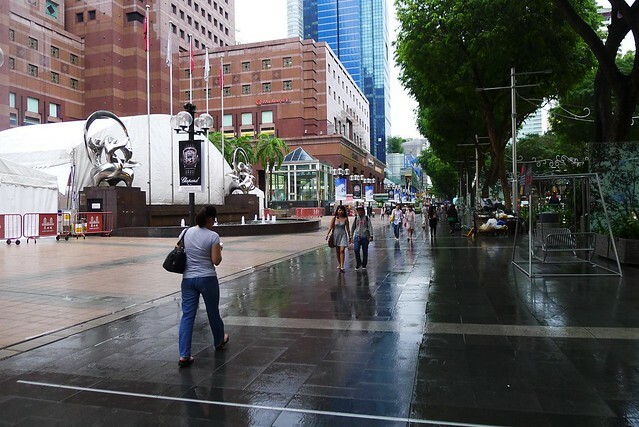 Hong Kong’s Causeway Bay, Kuala Lumpur’s Bukit Bintang and Shanghai’s Nanjing Road. #4: The wet Orchard Road. #6: External escalator at OG. 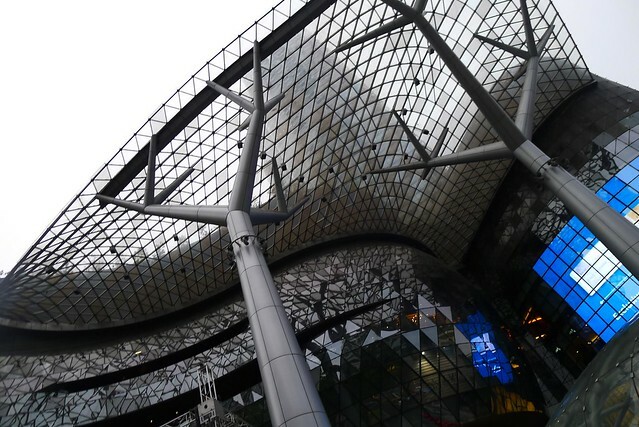 #7: The special architecture of ION @ Orchard. We started our walk from ION @ Orchard and hopping from mall to mall. As I walk further, it started to feel nothing, because that most of the shops are repeating from mall to mall. 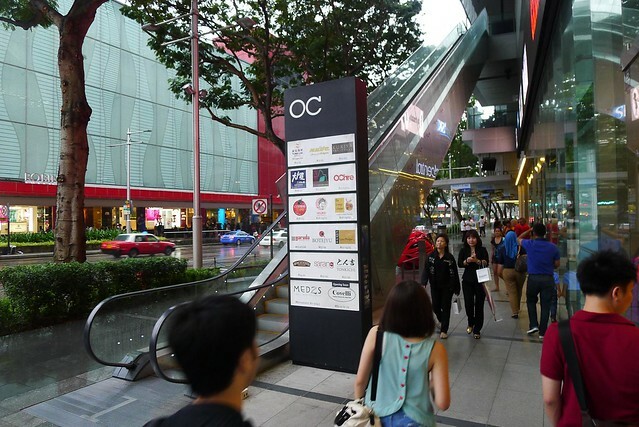 One fine example is that on this Orchard Road, you can find three UNIQLO outlet. WOW. 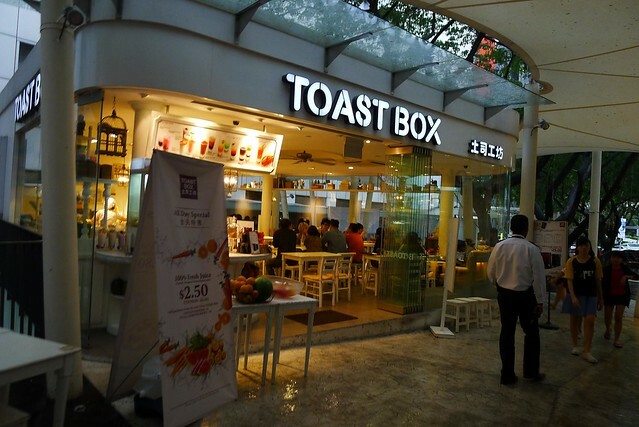 #10: Toast box has good toast and mee siam. It was a rainy day so the road was wet out there and luckily there’s no huge downpour. It’s just little drizzle all over the afternoon. 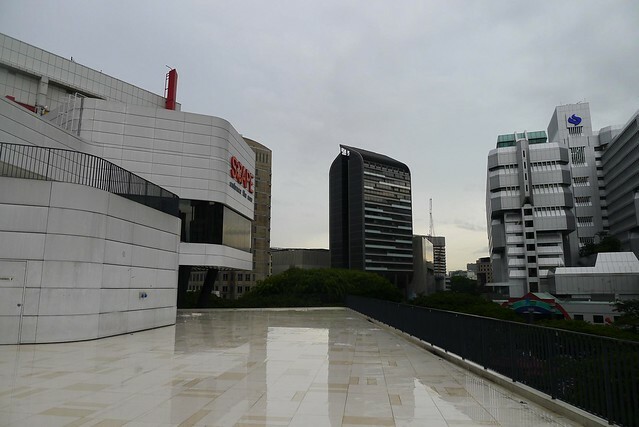 #11: Roof top of *SCAPE Park. 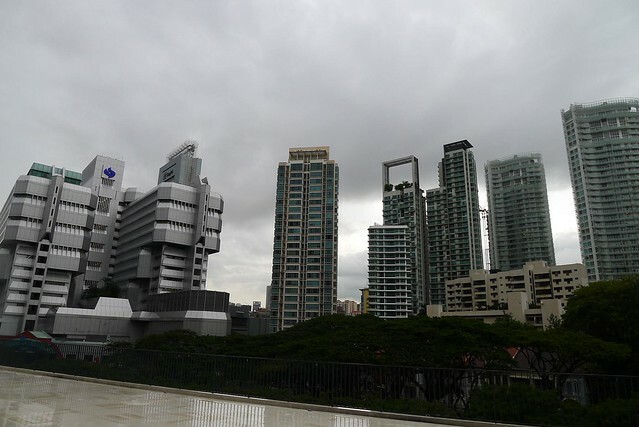 #12: Wish I can own one unit at one of these condominium, they are extremely expensive! 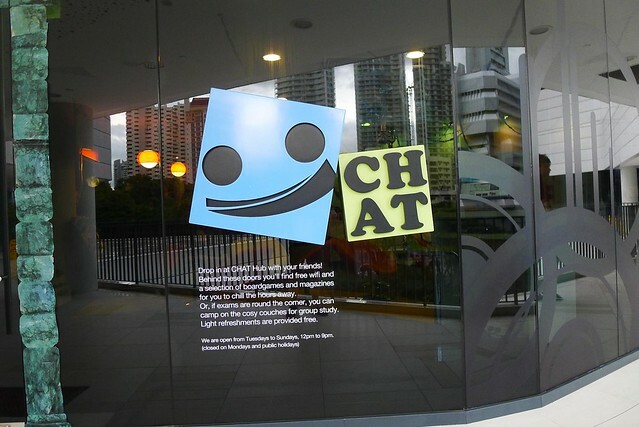 #13: A place at *SCAPE that allows you to CHAT! And relax, get a coffee, sit down, study or talk with others. I found a very cool place call the *SCAPE Youth Park, it includes a mall and also a sheltered open space which allows stalls and event booths to be set up here. The whole place is dedicated to the youth, a place for them to gather, hang out, do their dance routine, sell at the flea market, play some card games and more. Retail outlets in there are mostly stuff for the youth. I think this is a good place to gather youth instead of them hanging out at the wrong places and with the wrong gangs. 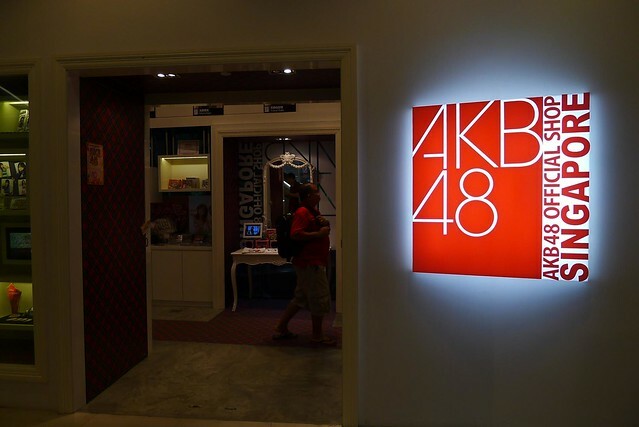 #14: AKB48 official shop in Singapore, but too bad the group is not in Singapore. Do you know AKB48? It’s a girls group in Japan that has 48 girls! 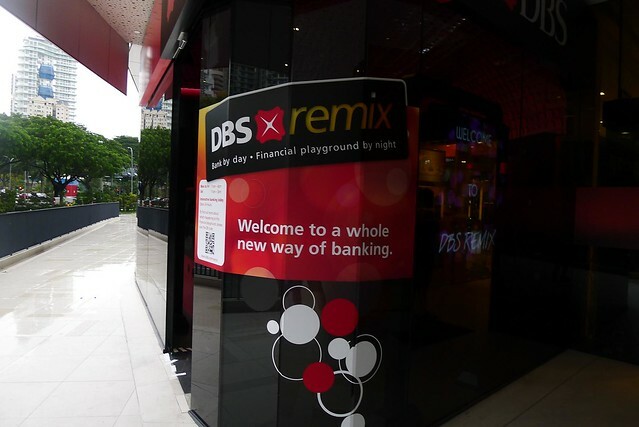 #15: DBS Remix, a new banking experience made for the Youth. It’s like a playground in there because there’s many tablet for you to play and touchscreen for you to find banking service. 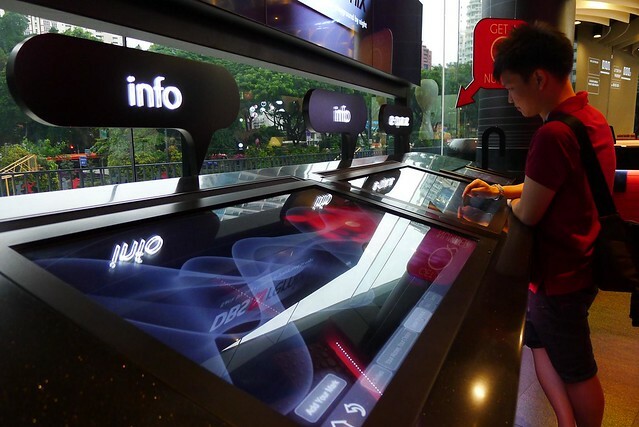 #16: Trying out the interactive info touchscreen. Didn’t really buy anything at there. It’s just walking for fun and taking photos here and there. 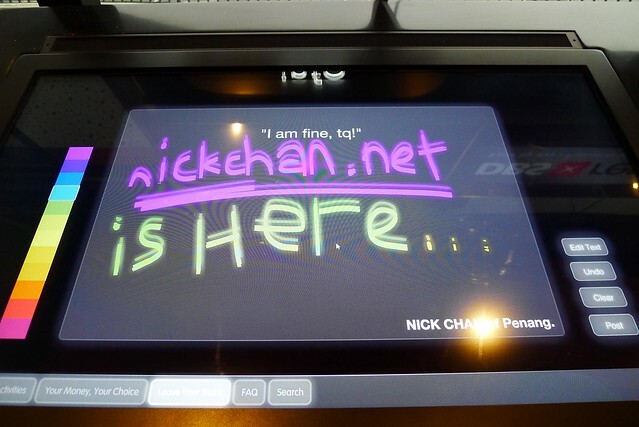 Went to the bank to play with the LCD touch screen and drank Gongcha Bubble Tea. Haha. 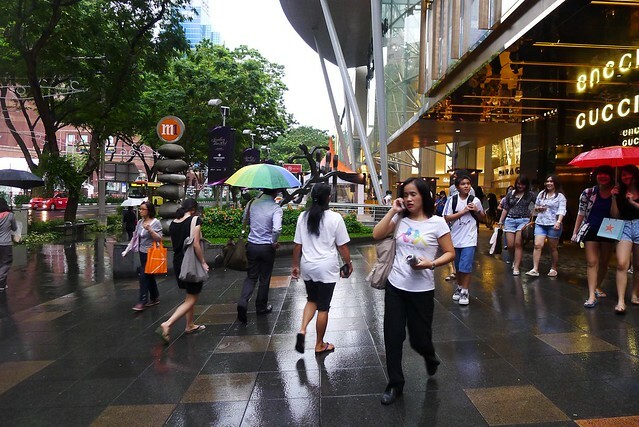 Orchard Road is pretty, not as pretty as Shanghai’s Nanjing Road East, but then it gets boring something, what do you think?